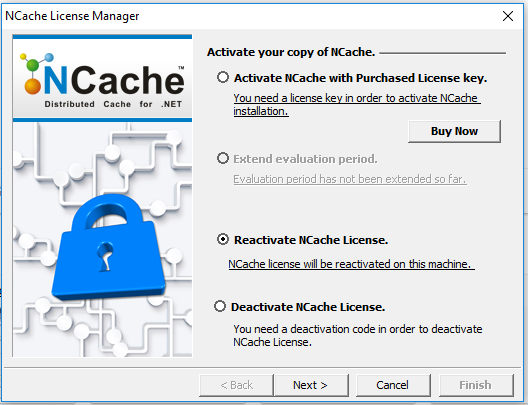 Select Reactivate NCache License and click Next. The next dialog box shows two modes for reactivation – Online and Manual. You are prompted with a success message.